Don Dokken has revealed he’s recorded a cover of Celine Dion’s Titanic anthem My Heart Will Go On. 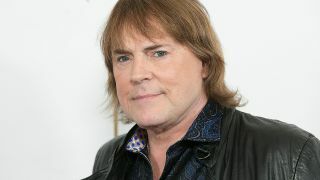 The song will appear on the upcoming reissue of the Dokken vocalist’s 2008 acoustic album Solitary, which was previously only made available to fans who attended the vocalist's live shows. Dokken tells Focus On Metal (via Blabbermouth): “We’re going to put out my solo record for the summer – Solitary, which never was released. I wrote that thing eight years ago and I added three more songs to it to make it a 12-song CD. “I did three new songs – they're not 'new' songs, they’re covers, but they're really beautiful. I did the Titanic song by Celine Dion. Everybody said nobody can do the Titanic song, because you can't compete with that version. It’s brilliant, but I Don Dokken-ized it! Last year, Dokken’s classic lineup featuring Dokken, George Lynch, Jeff Pilson and Mick Brown, released a video for their brand new studio track It’s Just Another Day.